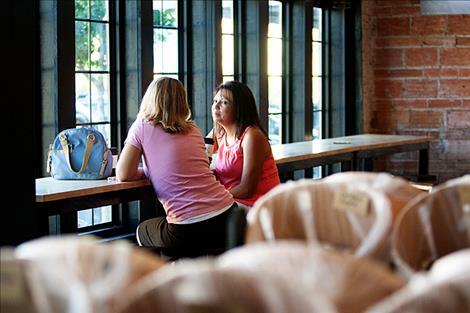 Blodgett plan to add a coffee roasting facility within the next six months. 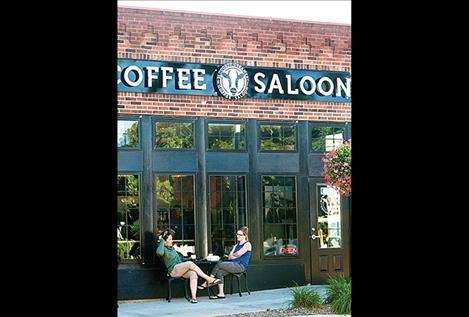 Blodgett Creamery Coffee Saloon not only offers coffee, but also affordable homemade pastries, ice cream, sandwiches and salads. 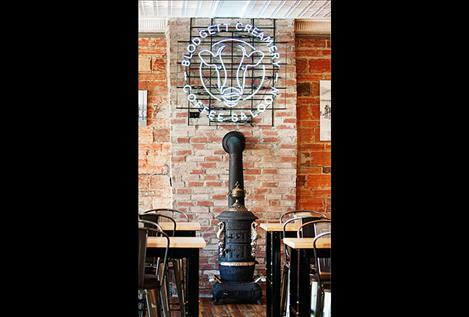 POLSON – Opening a gathering place downtown was a dream turned reality for Jeff and Debra Blodgett when they opened Blodgett Creamery Coffee Saloon at 325 Main St. on June 30. A lot of work was put into the effort, including a complete renovation of the building that the couple purchased from Denny Wilson in March. A new roof and flooring were added and some walls in the 2,700-square-foot building were redone. Debra explained that the couple put over $150,000 into the building in renovations alone. A $100,000 low-interest 18-year federal loan the couple procured through the Montana Department of Commerce’s Economic Development Division helped. Debra said funding from the Community Development Revolving Loan Fund came through in June after most of the renovations were done. 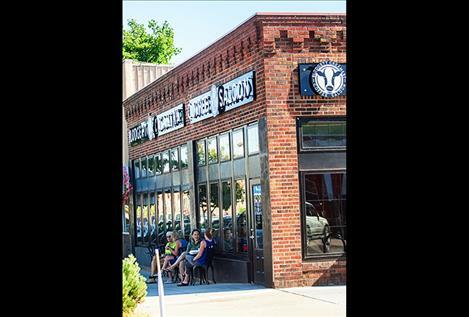 In addition to being a gathering place, the couple wanted to offer “the best coffee” and quality food at reasonable prices. They sell Hunter Bay Coffee from Lolo, and all of the employees – including their children Cody Blodgett and Morgan Kates – were trained by a Bozeman barista. Deli sandwiches, pastries, candy and Big Dipper ice cream from Missoula are also offered, along with various salads. Some of the pastries are homemade and bread for the sandwiches comes from Wheat Montana of Three Forks, Debra said. 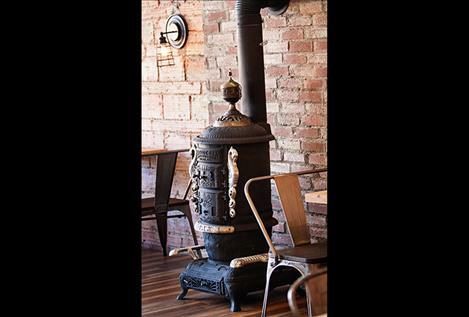 Visitors will notice a combination of new and rustic at the business, which features old photographs of the Polson area hanging on the walls, an old wood stove and brick from the original building, which was built in 1929. The building has housed eating establishments for a while, including most recently Mrs. Wonderful’s, which was preceded by Big Sky Bistro and Maxwell’s on Main. Before that, Wilson operated an antique store there. Originally it was known as the Model Bar and Cafe, a photo of which hangs at the business. Other photos include the Polson Cowboy Band marching through town on July 4, 1919, a one-armed violinist and a wooden bridge that preceded the Armed Forces Memorial Bridge. Jeff grew up in Deer Lodge – his ancestors homesteaded in the Bitterroot Valley – and the couple moved to Ronan in November 2014 from Olympia, Washington. They wanted a business they could run up until their retirement years. It seems they found it. 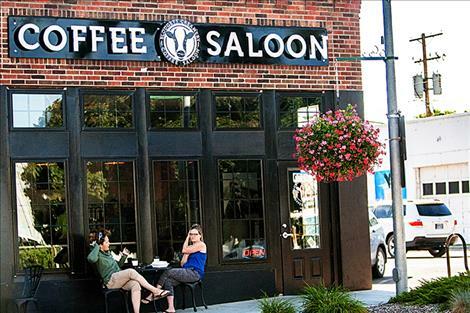 They plan to add a coffee roasting facility in a building behind the coffee saloon within the next six months. Business hours are 7 a.m. to 3:30 p.m., Monday through Friday, and 8 a.m. to 3:30 p.m. on weekends. The business can be found on Facebook.